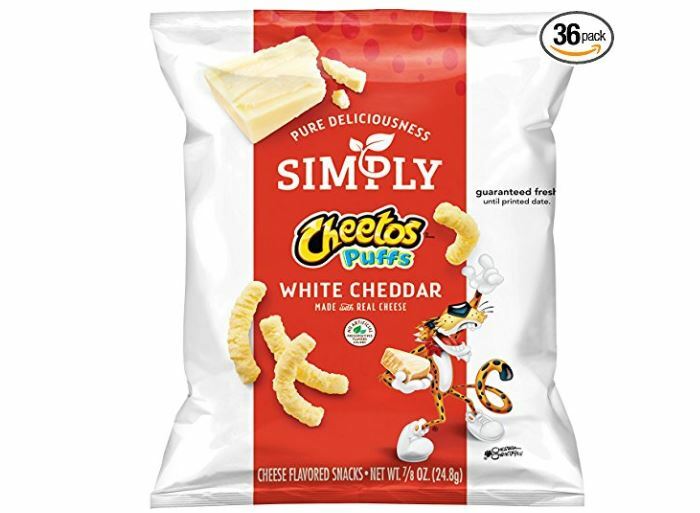 This Simply Cheetos Puffs White Cheddar Cheese Flavored Snacks, 36 Count drops to just $10.48 when you clip the 25% off coupon and subscribe and save. That's just $0.29 per bag shipped! -Our snacks have a short shelf life (60-90 days) so most of our packages only show the month & day of expiration (e.g. "Aug 16" means August 16th, not August 2016). For optimum flavor and freshness, we recommend the snack be consumed by the date on the package.